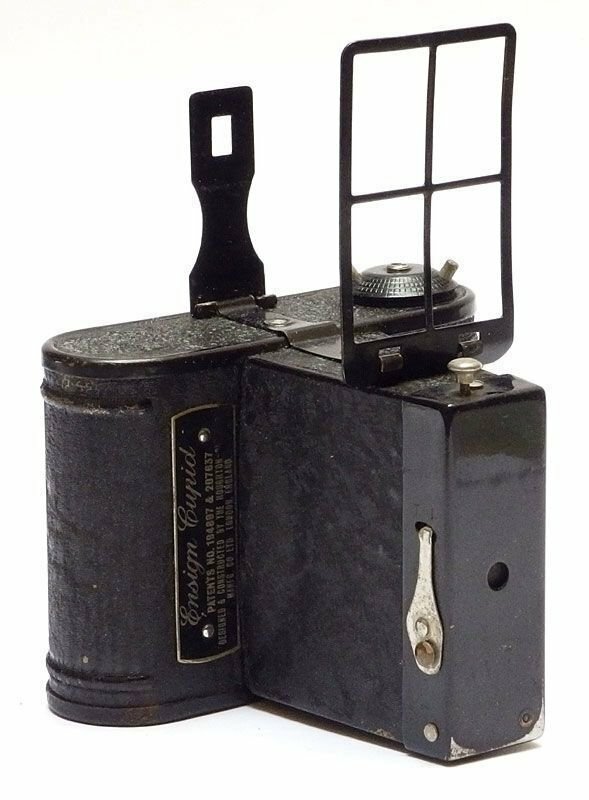 Unusual design camera from Houghton - Butcher UK. Shutter only works once in a while. Original wooden film spool inside. First half-frame 120 rollfilm camera, circa 1922.